Stewart and Hull Aesthetic and General Dentistry provides dentistry to local residents. If you are looking for a trusted dentist, we invite you to consider Stewart and Hull Aesthetic and General Dentistry. Their office has been keeping smiles healthy and beautiful since 1974. We offer full-service dentistry for every member of your family in a safe and comfortable environment. Whether you need preventative dentistry to maintain your healthy teeth or restorative dentistry to address all of your dental needs, we are here for you. Dr. Stewart and Dr. Hull will direct your course of treatment with a pleasant chair side manner and experienced precision. Combined cosmetic dental procedures make total smile makeovers possible. 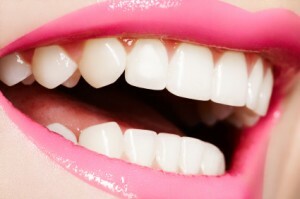 A successful smile re-design requires the expertise and eye of an artist. If you are considering a smile makeover schedule a free consultation today. Visit our website for useful information about our team and the services we offer. If you live in the 49321 zip code area, and are looking for the highest standard of excellence in the Belmont, Comstock Park, Grand Rapids, Sparta, Walker and Rockford, MI area click on any of the links on this page or call our office at (720) 306-8057.